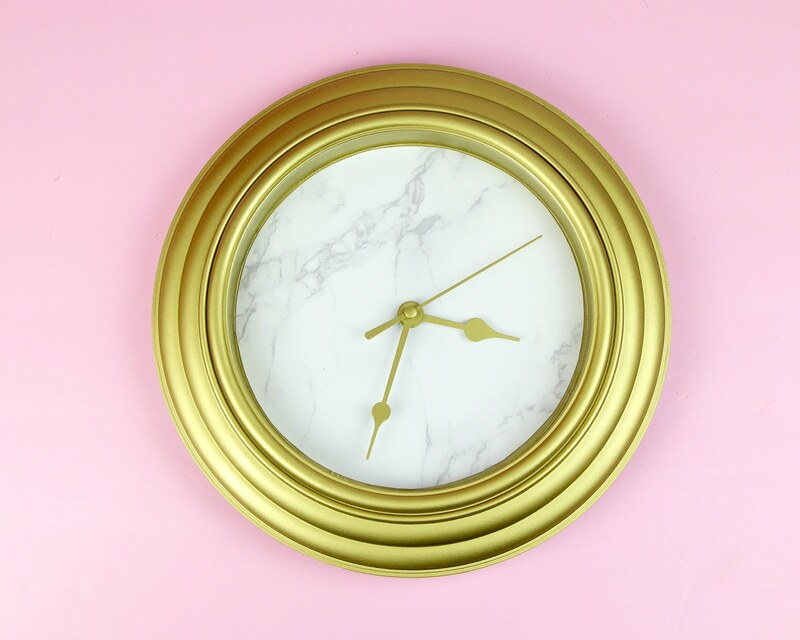 An easy DIY Dollar Store Clock Makeover into a chic Marble & Gold Wall Clock for sure cheap! 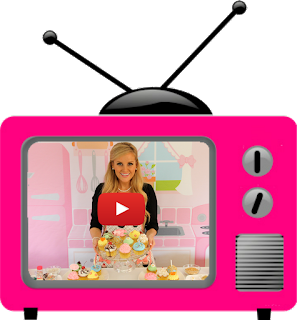 CLICK HERE TO WATCH THIS VIDEO AND MORE ON MY YOUTUBE CHANNEL! 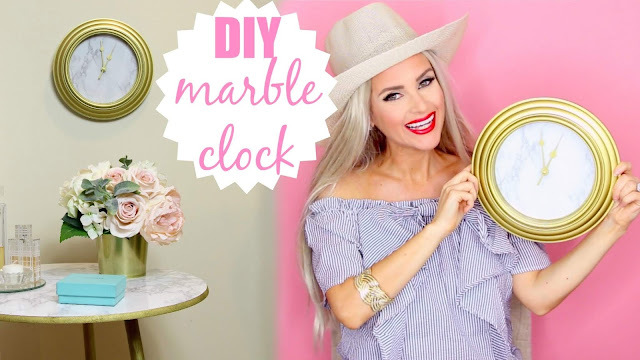 I used this hack to match my clock to my DIY accent table I made, to totally transform the room into a this elegant marble and gold theme, for super cheap. 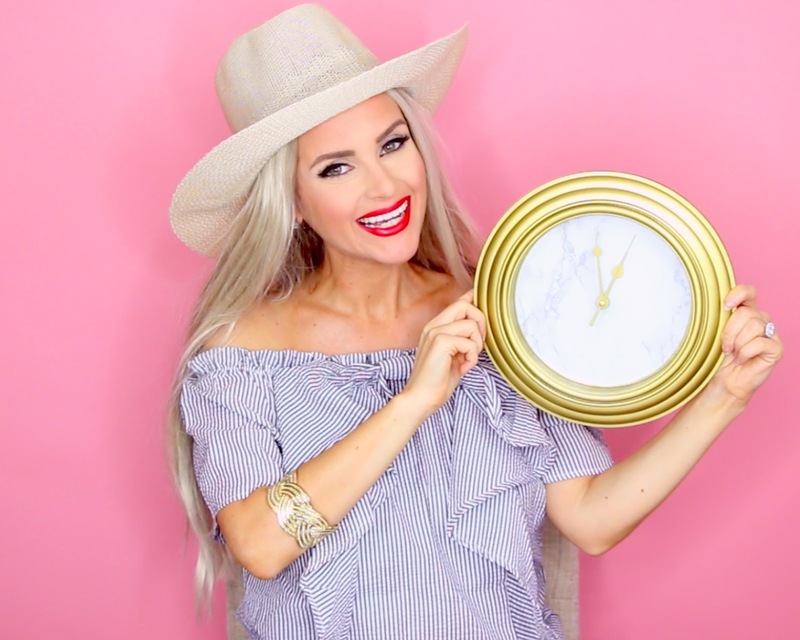 If you guys give this a try, make sure to go follow me on social media @TheLindsayAnn and tag me in a picture, so I can go like all of your recreations, or share this video with somebody who you know would love this project! I got this clock at the dollar store for a few bucks, took it apart and sprayed it gold. 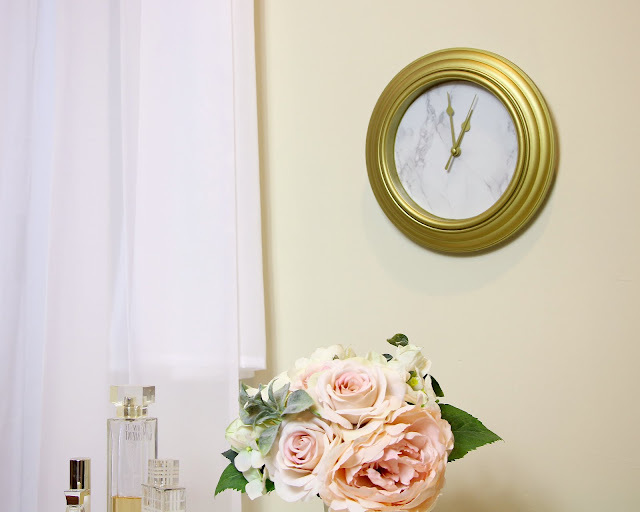 I added the scrap of marble contact paper I think it turned out really expensive and think it turned out so fancy looking, and it took like no time to make. 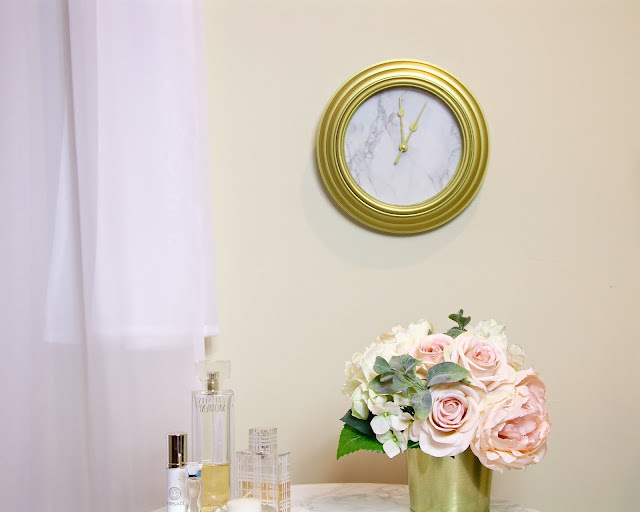 I used a velcro command strip to hang it on the wall and think it looks so chic! How cute did this turn out? 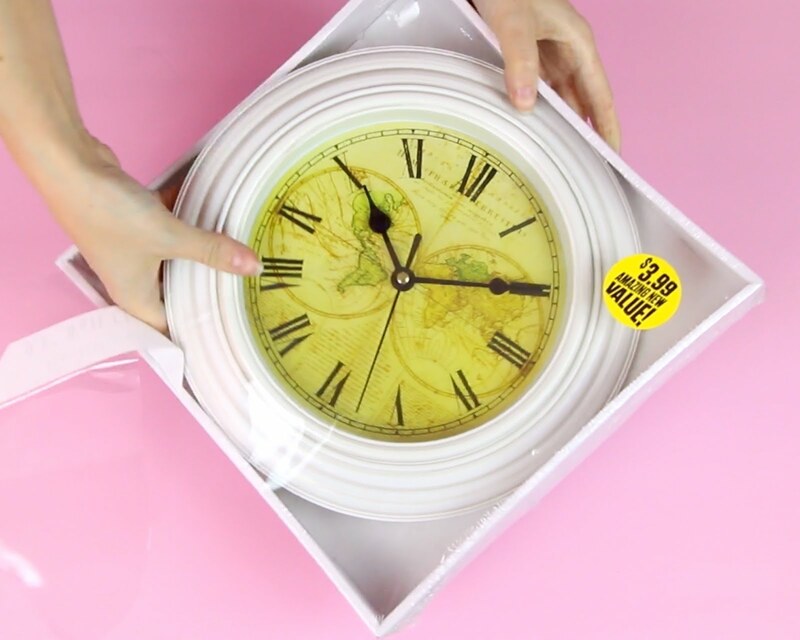 I don't think anyone would know this is a dollar store clock. 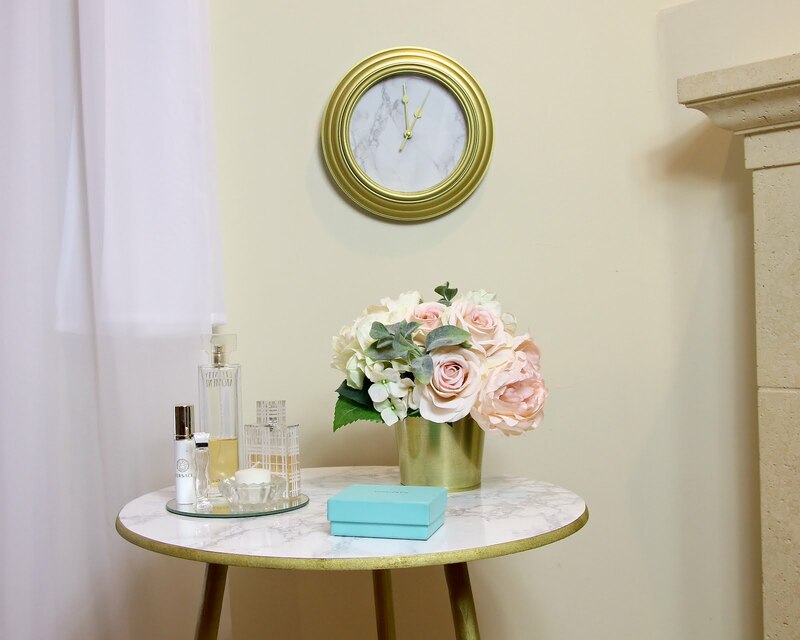 I also love it paired with my DIY table, for a complete set, to really finish off the look. 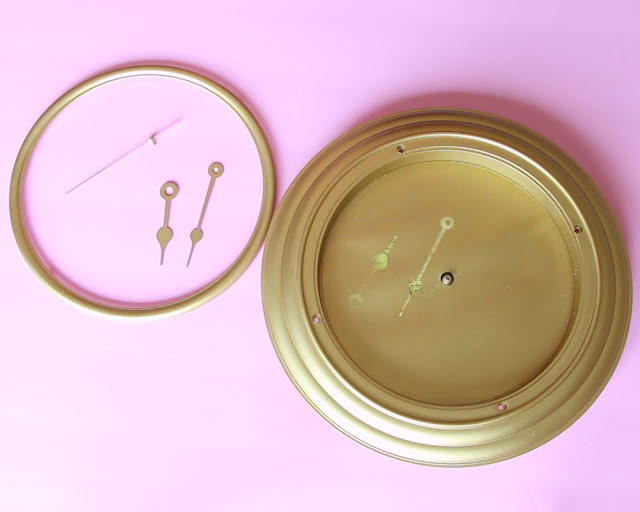 Take the clock apart. Trace the inside face of the clock with a piece of white paper and cut out to use as a template on a piece of marble contact paper, cutting a little hole in the center for the hands. 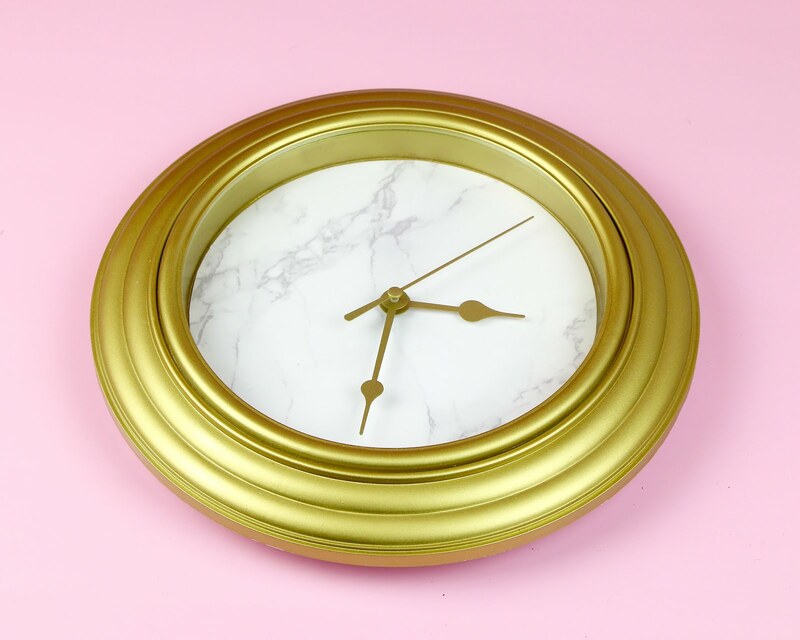 Spray the frame and hands of the clock with gold spray paint and let dry. 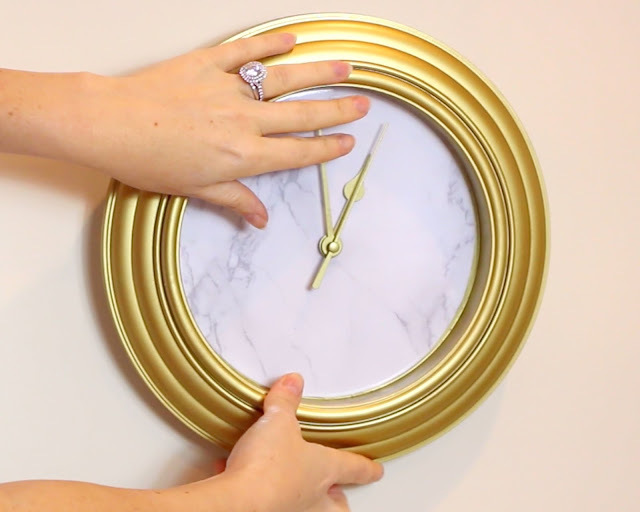 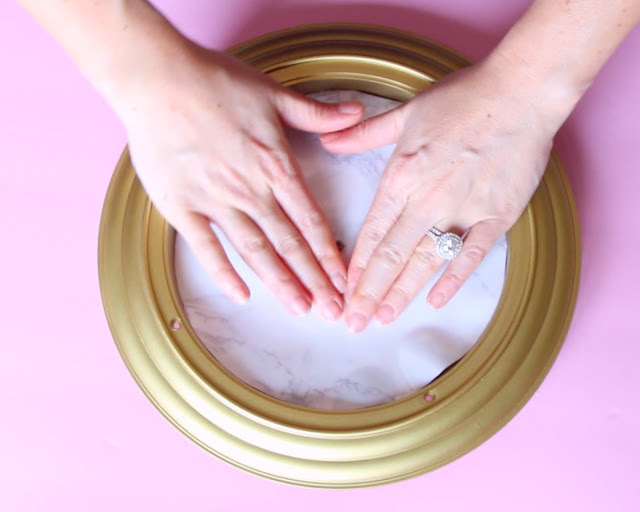 Apply marble contact paper to the face of the clock and put back the hands, the glass on top and any pieces of the frame, so the clock is back together. 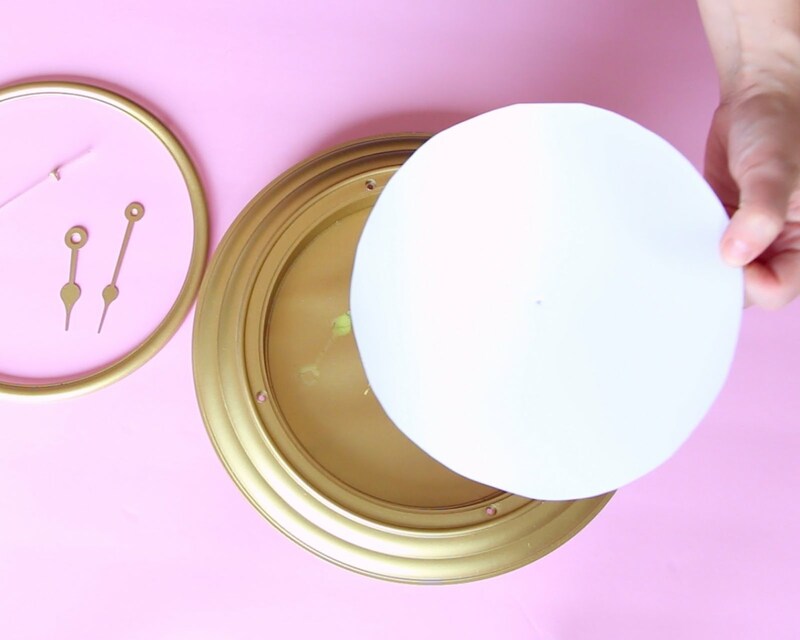 Add batteries if needed and hang on wall.